Q&A with Jim Fontaine, Bakery Specialist at Reiser. As a member of the baking industry for 34 years, Jim Fontaine, understands the pressure bakers are under to stay up-to-date on the latest trends and deliver superior products. Joining the Reiser team in 2014 as a Bakery Specialist, he helps bakers across the country become more efficient and flexible while staying true to their brands. Question: What is the typical composition of a gourmet cookie created by retail bakers? JF: A gourmet cookie is defined by the high-quality ingredients used to make it. Bakers will typically use butter, sugar and eggs at a higher percent to create a premium product. In addition, the use of inclusions, such as chocolate or caramel chunks or nuts, make these cookies stand out. Some also take a basic formula and dress it up with toppings, drizzles and shavings. Question: When should bakers think about scaling up production? JF: There are two reasons bakers would need to scale-up their operation: when they start turning down business or when they face labor challenges. Both factors force them to think about how they can automate their production process and make it more efficient and cost effective. Question: How can bakers maintain the quality of their cookies while they scale-up production? JF: A lot is learned from each test bake before a product is perfected. By working with Reiser Bakery Specialist, bakers can find a depositor that aligns with their needs and preserves the integrity of their original cookie. In addition. bakers need to be able to repeat their process day in and day out for optimal performance. They typically don’t change their ingredients, which helps keep quality under control. When they have a loose process, that’s when they suffer. They forget they have to tighten up production when they scale-up, so they aren’t wasting product and losing quality. Question: What systems for gourmet cookie production does Reiser offer? JF: Reiser offers a wide range of versatile Vemag cookie dough depositors to support operations of all sizes as they grow. For bakers looking to scale up from hand scooping, the Vemag 500 is an efficient machine that boasts high throughput, precise portioning and flexibility all while reducing labor costs. The machine’s unique pumping system — the patented double-screw — assures gentle handling, even with large inclusions and heavy doughs. The depositor drops cookies on to a conveyor while an operator works near the end picking up the product and placing them onto a cookie pan. For even greater output, the same Vemag 500 system can be upgraded with an indexing conveyor and a panning conveyor. This combination really speeds production up as the cookies are automatically deposited directly onto pans. Question: Where should bakers start when looking to increase production? JF: Bakers can consult Reiser’s team of Bakery Specialists when they are ready scale up. 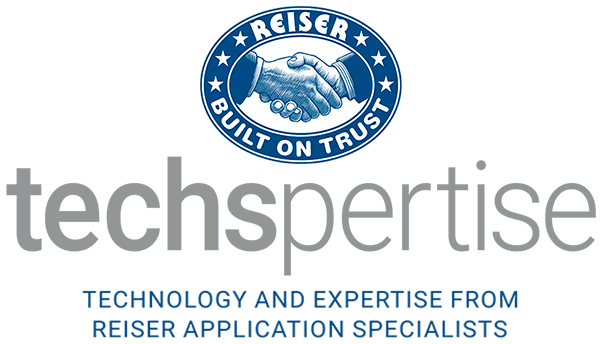 Reiser’s Customer Center offers the latest tools and technology to help bakers learn how to expand their cookie production. Bakers can consult with onsite specialists who will help them test out new formulations or tweak current ones. In addition, a Reiser Bakery Specialist can meet with bakers onsite at their plant to develop an expansion plan.